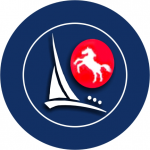 a) Full Membership of the Medway Dragon Fleet (MDF) and the British Dragon Association is obligatory for all Medway Yacht Club (MYC) Dragon owners, share owners and Helmsmen that have completed 4 races or events in their first season. b) Crewing Membership of MDF is obligatory for all Dragon crew after completing 6 races in their first season. Dragon owners and share-owners are to ensure that crews’ subscriptions for membership of MYC and MDF is paid. c) Social Membership is welcomed by the MDF and is open to any MYC member who wishes to regularly participate in social events and other activities of the MDF. d) Membership of the MDF is open to all members of MYC at the discretion of the MDF Class Officers. a) The annual subscription for Full members, Crewing members and Associate members shall be set at the Annual General Meeting (AGM) of the MDF and shall be paid before 31st March. b) If a Full Member’s British Dragon Association (BDA) and Fleet Subscription remain unpaid by 30th May, the defaulter shall be deemed prejudicial and to have rejected the aims of the MDF and BDA, and shall be removed from membership of MDF. a) The affairs of the MDF are the responsibility of the Captain and Vice-Captain, who may co-opt members at their discretion. b) Officers shall be elected for a two-year term at the AGM and are not eligible for immediate re-election to the post vacated. c) The Class Captain shall be the Fleet’s representative to the BDA. The Captain may be represented by the Vice-Captain or a Full member of MDF and BDA if he/she is unable to attend meetings of the BDA. d) Subscriptions will be used at the discretion of the Fleet Officers to defray expenses incurred in the administration of the Fleet’s affairs, the provision and maintenance of Dragon-handling gear, sundry expenses of a like nature, the entertainment of visiting Dragon teams from time to time, and any other expenses which may be agreed by the members at a the AGM or duly convened meeting. a) An AGM shall be held at the MYC premises on a suitable day following the BDA AGM each year. b) The chair shall be taken at the AGM or other meetings by either the Captain or Vice-Captain. c) Items to be included in the agenda from members must be notified in writing and received by the Class Officers 14 days before the day of the AGM. d) Any items arising under the agenda item of ‘Any Other Business’ cannot be subjected to a vote at the meeting. e) In addition, meetings of the full membership shall be called by the Captain or Vice- Captain as deemed necessary, or at the request of four Full members, at a convenient time. f) A quorum shall consist of not less than 50 per cent of the Full members including the Captain or Vice-Captain. g) Minutes will be taken at each meeting and circulated to all members of the fleet within one month of the meeting. h) The Minutes Book shall be held securely by the Class Officers and available to all members for inspection on request. a) At the AGM or other meetings, all Full members shall be eligible to vote. b) Crewing and Social members may attend meetings, but cannot vote. c) A simple majority of Full members present shall suffice for all matters other than the alteration of the MDF Rules. d) The Rules of the MDF may be altered only at an AGM or Extraordinary General Meeting (EGM) convened for that purpose on a two-thirds majority of the quorum of all Full members present or their nominated proxy. e) Full members unable to attend may nominate a proxy in writing. f) In the event of a tie, the chairman of the meeting shall have a casting vote. i) RRS Appendix A (current edition 2017-2020) will apply, including the low point scoring system RRS A 4.1.
ii) As all MYC Dragon Series are held over a period of time longer than a regatta, RRS A 9 will apply. iii) The number of Dragons entered for any series is the total number of Dragons who have ranked as starters on any of the completed races in that series. iv) Redress – a Dragon whose helm/crew are undertaking rostered MYC duties, shall be eligible to receive average points for the race that cannot be sailed, then RRS A 10 (b) will apply. Duty must have been rostered. v) Redress – a Dragon whose helm/crew are competing in a recognised IDA or BDA event shall be eligible to receive average points for any races held on the same date. RRS A 10 (a) will apply to each series. a) In the event that an open Regatta takes place on a Saturday, any races completed that day will not count towards the long series event. i) ‘Silver Irish Bowl’ presented by the Medway Yacht Club for the first placed boat. ii) The Deuxieme Prix’ presented by Ron Hollands Esq. in 1957 for the second best placed boat. iii) ‘B.A.R. Cup’ presented by Mrs J.W. Robertson in 1957 for the third best placed boat.  Races for these three trophies are scheduled to take place on Saturdays, excluding open meetings.  The best aggregate of points for the season shall be calculated from the Saturday races; one discard for every five races completed, worst races to be discarded. iv) ‘The Medway Dragon Gold Cup’ presented by Mr Bruce Boyd and Mrs Pepita Ratnage in 2012 for the overall season’s winner with no discards. It is to be awarded to the Dragon with the lowest points score without discards during the overall Saturday racing. In the event that the lowest number of points without discards is achieved by a Dragon that has also, in the same season, won the Irish Silver Bowl, the Deuxieme Prix or the BAR Cup, then the Medway Dragon Gold Cup is to be awarded to the next lowest scoring boat. If two boats have the same lowest points in any one season, the winner will be the boat with the number of lowest scoring places achieved. v) ‘Proton Cup’ presented by Charles C. Price Esq. of Pennsylvania, USA in 1958. This series is scheduled to take place on the first four Saturdays of the season. A boats series score will be her total score for all the races completed. excluding her two worst scores. When 5 or fewer races have been completed a boats score will be her total score excluding her worst score. vii) ‘John Field Late Summer Series Trophy’ (presented 2006): This series is scheduled to commence on the first Saturday after the Medway Keel boat Regatta and conclude on the last Saturday of August. The precise details will be confirmed by the Class Captain each year but generally decided on the basis of two discards if six or more races are sailed and one discard otherwise. viii) ‘211 Cup’ presented by David Clarabut Esq. D.S.C., in 1956. This series is scheduled to commence from the first Saturday in September and conclude on the last Saturday of the season. In the event that more than one race is completed on a Saturday, the last completed race shall count. There will be two races discarded in this series; however if six or less races are completed, then only one discard will be applied. A minimum of four races are to be sailed for the cup to be awarded. i. ‘Hai Lung Trophy’ a silver Cocktail Set presented by Max Hamilton Esq. in 1952. Awarded to the Dragon making the greatest number of starts in point’s races during the season. A winner of any of the 5 long series trophies shall not be eligible. ii. *‘Myrtle Cottell Trophy’ presented by Mrs Augusta M. Cottell in 1974. To be awarded to the winning helmsman in a race sailed by a fleet member who normally crews in the Medway Dragon Class. A winner of the Trophy shall not be eligible the following season only. iii. ‘Rogue Cup’ presented by David Dale Esq. in 1997, to be awarded to the owner of the Dragon with the greatest number of first places in Saturday points races during the season. In the event of two or more boats having the same number of wins, it would be awarded to each boat and shared at the discretion of the Class Captain. iv. ‘Kenny Ball Trophy’ a micrometer made by the late Kenny Ball Esq. and donated by his family in 1997 in his memory, to be presented to the winning crew of a race sailed on the Saturday nearest to the late Kenny Ball’s birthday (7th July) each year. vi. 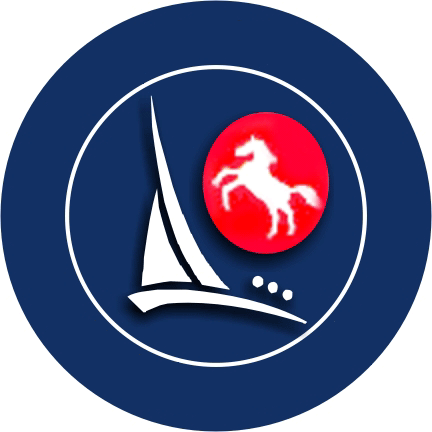 *‘Commodore’s Cup’ presented by the Medway Yacht Club in 1999 and to be raced for in a single race or a mini series of races during the weekend of Commodore’s Day at the discretion of the Class Captain. vii. *‘Medway Dragon Trophy’ presented by Kenneth McAlpine Esq. in 1958 and raced for during Medway Regatta. A boats score will be her total score, for all races sailed during the Medway Regatta, no discards unless prescribed by the Class. viii. *‘Kittiwake Cup’ presented by Mrs Christine Gill in 1952 in memory of the late Ernest Gill Esq and now sailed for in the Medway Regatta, to be decided on the results of the Saturday and Sunday races. A boats series score will be her total score for all the races completed. ix. ‘North Sea Yacht Club Salver’ presented by the North Sea Yacht Club, Ostend for annual competition at the discretion of the Class. x. *‘Proton Cup II’ acquired by the Medway Dragon Fleet as a replacement for the Proton Cup that was mislaid between 1977 and 1981. Reinstated in 2000 so as to be raced for by visiting Dragons to the Medway Regatta. To be decided on the results of all races sailed during the Medway Regatta, no discards unless prescribed by the Class. All the above Trophies are owned by the Medway Dragon Fleet apart from those marked with * which are owned by the Medway Yacht Club. a) Permission has been granted by the British Dragon Association for the following local rules to apply to Dragon racing in the Medway fleet. i) The number of crew to be carried shall be unlimited. ii) A sounding pole or an echo sounder may be used in lieu of a lead line. iv) RRS 44.1 and 44.2 were amended to change from a Two-Turn to a One-Turn penalty. b) Self-finishing – to provide fairer racing finishes in adverse tide and wind conditions, except for Windward/ Leeward races, Medway Regatta and BDA events. A decision for adopting self-finishing shall be made in collaboration with the OOD and Class Captain/ Vice Captain, and advised to competitors prior to the start of a race. ii) Individual boats will determine their finish by crossing the transit of buoy 30 and the tallest communication (radar and telephones) mast approx 1/4 mile on the south shore (see appendix A attached) or a designated alternative. iii) If a race is shortened by MYC race management, that will have precedence. iv) Each participant shall note their finishing position and the sail number of the boat in-front and behind. They shall on return to MYC, record their finishing place on the Dragon signing-off sheet. vi) In the event of over-lapped boats being unable to determine a place at Buoy 30, their position shall be given as an equal place. a) The Fleet owns certain property for the convenience of its members. Members contribute to the upkeep and replacement of these by means of their annual subscriptions. c) Any faults found with this gear should be reported immediately to the Captain or Vice-Captain. d) The Talurit machine and Telescopic Riveter are stored in the Dragon Locker.